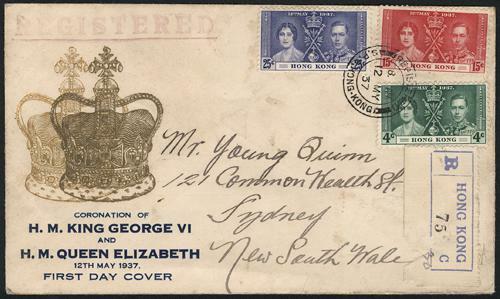 1937 (May 12) KGVI Coronation illustrative FDC (Yang C3), illustration showing double printing of Crown error. Very rare. Registered to New South Wale with transit and arrival on reverse. VF-F.